I just adore bark cloth fabric!!! I know there are a few friends who would be waving their arms about screaming....WHAT!!! Oh wow, it looks fabulous! There's nothing better than transforming a vintage curtain/tablecloth/bedspread into something new and hip... and of course if it's floral, then it's even better! what gorgeous skirts! I'm definitely in need of a wardrobe revamp, maybe I'll hunt down a barkcloth curtain. I bought my first vintage cotton sheet today, orange and pink, perhaps there's a sundress in it? Oh me too! Great skirts! Greetings from Kansas in the US.. I too, love old vintage little travel trailers..love seeing your pictures. And Bark Cloth..love that too. So glad to have discovered you. Have a great day. 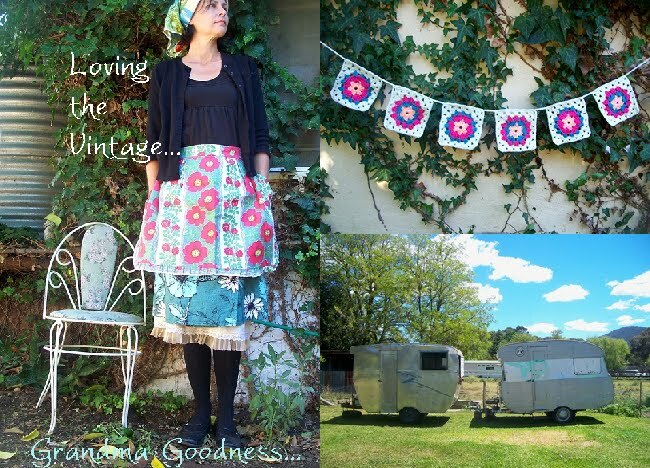 Great skirts Michelle - I love barkcloth - such a wonderful fabric. Your sisters bouquet is amazing - i would love to be able to decorate like that. I love that skirt! You look fabulous!